Andrew Terry was appointed as Professor of Business Regulation in the Business School in 2010 after a long career at the University of New South Wales - the last fifteen as Head of the School of Business Law and Taxation. He is an Emeritus Professor of the University of New South Wales and Honorary Dean and Visiting Professor of Beijing Normal University's Franchise Management School. Andrew researches and teaches in the areas of competition law, fair trading law and intellectual property law, with a particular focus on franchising, and has written/presented over 400 articles, papers, reports, and books. His publications include Business and the Law (currently in its 6th edition), Franchising Law and Practice and he is the co-editor of Handbook of Research on Franchising. Andrew has had a long engagement with business, professional and government communities in Australia and Asia. He is a former member of the Small Business Development Corporation of NSW and former Deputy Chair of Lawasia's Business Law Section (and Chair of the Franchising Committee). 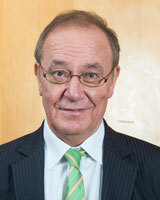 He is Governor of the Franchise Council of Australia's Franchise Academy. From 1998 to 2008 he was Special Counsel with Norton Rose Fullbright. Andrew has wide international experience, particularly in relation to franchising development and regulation in Asia. He has worked with industry and governments in a number of Asian countries and drafted Vietnam's franchise law which came into operation in 2006. He has been inducted into the Australian Franchising Hall of Fame. He is currently a member of the Australian Competition and Consumer Commission’s Small Business and Franchising Consultative Committee. Andrew Terry’s research interests relate to the regulation of business with a particular focus on franchising. His current research is focused on the appropriate regulatory response to the changing nature of franchising – with the increasing trend to private equity investors and ASX listing which expose tensions between the interests of franchisees and the interests of investors. Regulatory challenges flow from the changing nature of the franchise model, the issues around the ownership of the franchisor and tensions that can arise in multi-system/multi-brand franchising. Of related interest is the legal liability of the franchisors for the consequences of strategic commercial decisions which impact adversely on franchisee profitability. The new “good faith” obligation added to the Franchising Code of Conduct in 2014 but yet to be tested in the courts is of particular interest in this context. These issues are among those currently being considered by the 2018 Parliamentary Inquiry into the Operation of the Franchising Code of Conduct and to which he made a submission. Other current research in franchising relates to the application of the traditional business format franchise model in innovative contexts – including social franchising, micro-franchising, public sector franchising community franchising and quasi-franchising. A particular subset of this research is the application of franchising techniques and principles in novel ways to assist the economic empowerment of indigenous communities. Terry A, and Di Lernia C (2018) Growing pains? Legal and commercial challenges to the business model in franchise system expansion 8th International Conference on Economics and Management of Networks; University of Vienna, MAK Vienna, Havana, Cuba. Terry A, Di Lernia C, and Perrigot R (2018) The perceptions of franchisees, franchisors and their lawyers in the French context 8th International Conference on Economics and Management of Networks; University of Vienna, MAK Vienna, Havana, Cuba. Terry A (2018) Is Franchising a Flawed Business Model? Inside Franchise Business 31(2). Terry A (2018) How to Spot a Franchise Winner Inside Franchise Business 31(1). Terry A (2018) Submission to the Inquiry into the Operation and Effectiveness of the Franchising Code of Conduct. Terry A (2017) Where to next for the franchise model Inside Franchise Business Issue 30, Vol 1. Terry A (2017) A question of enterprise: Can a franchisee be truly described as an entrepreneur - and does it really matter? Inside Franchise Business Mar/Apr Issue 30, Vol 2. Terry A (2017) It's a Regular Thing ... Inside Franchise Business July/August Issue 30, Vol 4. Terry A, and Giugni D (2016) Business and the law: 6th Edition; Thomson Reuters, Sydney. Terry A (2016) The Executive and Law-Making by Administrative Agencies Business and the law: 6th Edition; Thomson Reuters, Sydney, 135-158. Terry A (2016) Crime: Concepts of Control Business and the law: 6th Edition; Thomson Reuters, Sydney, 563-589. Terry A (2016) Franchising Business and the law: 6th Edition; Thomson Reuters, Sydney, 647-677. Terry A (2016) Advertising and Sales Promotion Business and the law: 6th Edition; Thomson Reuters, Sydney, 923-964. Terry A (2016) Business Regulation, Risk and Compliance Business and the law: 6th Edition; Thomson Reuters, Sydney, 1255-1265. Terry A (2016) The Law, the Legal System and the Constitution Business and the law: 6th Edition; Thomson Reuters, Sydney, 3-74. Terry A (2016) The Courts and Common Law Business and the law: 6th Edition; Thomson Reuters, Sydney, 75-101. Terry A (2016) The Parliament and Statute Law Business and the law: 6th Edition; Thomson Reuters, Sydney, 103-133. Terry A (2016) Competition Law Business and the law: 6th Edition; Thomson Reuters, Sydney, 1017-1156. Terry A (2016) Misleading or Deceptive Conduct Business and the law: 6th Edition; Thomson Reuters, Sydney, 807-880. Terry A (2016) Commercial Dispute Resolution Business and the law: 6th Edition; Thomson Reuters, Sydney, 159-182. Terry A (2016) Unconscionable Conduct and Unfair Contract Terms Business and the law: 6th Edition; Thomson Reuters, Sydney, 881-922. Terry A (2016) Contracts in Business Business and the law: 6th Edition; Thomson Reuters, Sydney, 325-421. Terry A, and Di Lernia C (2016) Contracts: Concepts of agreement Business and the law: 6th Edition; Thomson Reuters, Sydney, 185-323. Terry A, and Huan J (2016) Relationships in Business: Distributors, Agents, Employees, Independent Contractors Business and the law: 6th Edition; Thomson Reuters, Sydney, 615-646. Terry A, and Quang T (2016) Torts: Concepts of Liability Business and the law: 6th Edition; Thomson Reuters, Sydney, 423-505. Terry A, and Quang T (2016) Intellectual Property Business and the law: 6th Edition; Thomson Reuters, Sydney, 1157-1252. Terry A (2016) Franchising and Business Ethics Franchising Nov/Dec Vol 29/No 6. Terry A, and Chetwin M (2015) Issues at the end of a franchising relationship Australian Business Law Review, 43 (2), 152-166. Terry A (2014) Unfair Competition and the Misappropriation of a Competitor's Trade Values Trademark And Unfair Competition Law; Edward Elgar Publishing, United Kingdom. Terry A (2014) What Does Franchising Excellence Look Like? Franchise Business . Terry A (2014) Leadership and the Franchise Network Australian Franchising Magazine Jan/ Feb, Vol 21:1. Terry A (2014) What you Need to Know about 2015 Franchise Business . Terry A (2014) What is the greatest danger to the growth of the franchise sector? Franchising Vol.27, Number 6. Terry A (2014) Franchising Code Reforms: the Implications for Franchisees Franchise Business . Terry A (2014) Good Morning Vietnam - McBreakfast is served Franchise Business . Terry A (2014) Are franchisors liable for franchisee's conduct? Francshise Business . Terry A, and Ba Binh N (2013) Impact of the legislation on franchise to the development of franchising in Vietnam Journal of Legislative Research, 21 (253). Terry A, and Huan J (2013) Franchisor Liability for Franchisee Conduct Monash University Law Review, 39 (2), 388-410. Terry A (2013) Franchisees: willing slaves or entrepreneurs? Australian Franchising Magazine May/June, 2013. Terry A (2013) Code of Conduct Review: Again Australian Franchising Magazine July/August. Terry A (2013) Life’s certainties: death and taxes Australian Franchising Magazine Sep/Oct. Terry A (2013) Why franchisors and franchisees diversify Australian Franchising Magazine March/April, 2013. Terry A (2013) Why franchising is harder than it looks Australian Franchising Magazine Jan/Feb. Terry A (2013) Tradition:2014 and Australian franchising Australian Franchising Magazine Nov/Dec. Giles S, Redfern M, and Terry A (2012) Franchising Law and Practice; LexisNexis Butterworths, Australia. Terry A, and Wang Z (2012) Competition Law and Policy in China: The 2007 Anti- Monopoly Law Commercial Law of the Peoples Republic of China; Thomson Reuters, Sydney, Australia, 317-336. Wang Z, and Terry A (2012) Franchise Law in China: The Interpretation and Application of the 2007 Franchise Regulation Commercial Law of the Peoples Republic of China; Thomson Reuters, Sydney, Australia, 291-315. Terry A (2012) “Language trap�? (in Vietnamese) Vietnam Franchise World February. Terry A (2012) What Does a Great Franchise System Look Like Australian Franchising Magazine Jan/Feb. Terry A (2012) The Business of Learning Australian Franchising Magazine May/June. Terry A (2012) Taking the Plunge-is there ever a wrong time to buy a franchise Australian Franchising Magazine Mar/April. Terry A (2012) Growing Pains: pros and cons of emerging franchises Australian Franchising World February. Terry A (2012) Do the Big Brands have All the Answers? Australian Franchising Magazine July/August. Terry A (2012) Franchise Investment: all you need is love? Australian Franchising Magazine Sept/ Oct.
Terry A, and Zhang Y (2011) The power and information imbalance in franchising: The role of prior disclosure under the Franchising Code of Conduct Australian Business Law Review, 39 (4), 245-259. Terry A, Giles S, and Redfern M (2011) Franchising Law and Practice; LexisNexis Butterworths, Australia. Terry A, and Di Lernia C (2011) Back of House Franchising 25th Annual International Society of Franchising Conference ISoF 2011; International Society of Franchising, United States. Terry A (2011) Legal Aspects of Brand Management Perspectives on Brand Management; Tilde University Press, Prahran, Australia, 185-199. Terry A (2011) How Technology is Changing Franchising? Australian Franchising Magazine May/ June. Terry A (2011) Franchising, Togetherness and Individualism Australian Franchising Magazine March/ April. Terry A (2011) Franchising's Recipe for Success University of Sydney Business School Alumni Magazine . Terry A (2011) Looking Beyond the Brand for Success Australian Franchising Magazine Jan/Feb. Terry A (2011) They Came But Did They Conquer Australian Franchising Magazine – Sept/Oct . Terry A (2011) Are You Ready for Franchising? Australian Franchising Magazine July/ August. Terry A (2011) Are there Flaws in the Franchise Model? Australian Franchising Magazine Sept/Oct. Terry A (2011) A Vision of the Future Australian Franchising Magazine- Nov/Dec . Terry A (2011) Tips for Franchisees for 2011 Franchising . Terry A, and Ba Binh N (2011) Franchising in Vietnam: Relatively New but Undoubtedly Promising (in Vietnamese) Vietnam Franchise World- September . Terry A, and Di Lernia C (2011) Franchising Inquiry. Terry A, Giles S, and Redfern M (2010) Franchising Law and Practice; LexisNexis Butterworths, Australia. Di Lernia C, Finch N, and Terry A (2010) Good Faith - An Idea Past Its Time 12th International Business Research Conference 2010; World Business Institute, Melbourne, Australia. Terry A, and Di Lernia C (2010) Good Faith in the Context of Franchising Agreements 24th Annual International Society of Franchising Conference ISoF 2010; International Society of Franchising, United States. Wang Z, and Terry A (2010) The Impact on the Regulatory Regime on Foreign Franchisors' Entry in China: The KFC and McDonald's Experience 24th Annual International Society of Franchising Conference ISoF 2010; International Society of Franchising, United States. Terry A (2010) Foreword The Regulation of Franchising in the New Global Economy; Edward Elgar Publishing, United Kingdom, viii-x. Terry A (2010) Franchising Code changes a bold initiative Australian Franchising Magazine- Jan/Feb . Terry A (2010) Language School Australian Franchising Magazine- Sept/Oct . Terry A (2010) Good Faith Revisited Australian Franchising Magazine- Nov/Dec . Terry A (2010) Getting into business Australian Franchising Magazine- March/April . Terry A (2010) Establishing that a Franchise System is Established Franchising- May/June . Terry A (2010) Eyes Wide Open Australian Franchising Magazine- May/June . Terry A (2010) Will New Zealand Adopt the Code? No Way Mate! Franchising 2010 Yearbook and Directory . Terry A (2010) On Franchising, Marriage and Gut Feelings Australian Franchising Magazine- July/Aug . Terry A (2010) Laws Governing Brand Franchising in India Franchising World Magazine India- November . Terry A (2010) Power Play Franchising-July/Aug . Terry A, and Binh N (2009) Vietnam's New Regulatory Regime for Franchising LawAsia Journal, 2009, 82-95. Terry A, and Di Lernia C (2009) Franchising and the Quest for the Holy Grail: Good Faith or Good Intentions? Melbourne University Law Review, 33 (2), 542-578. Terry A, and Wang Z (2009) The Development of China's Regulatory Regime for Foreign Franchisors Hong Kong Law Journal. Giles S, Redfern M, and Terry A (2009) Franchising Law and Practice; LexisNexis Butterworths, Australia. Terry A, and Giugni D (2009) Business and the Law: 5th Edition; Cengage Learning Australia, Australia. Terry A (2009) The Regulation of Fanchising in Asia: a Comparative Study 6th Asian Law Institute (ASLI) Annual Conference 2009: Dynamics of Change in Asia; University of Hong Kong, Hong Kong. Terry A, and Yu Z (2009) Issues with Prior Disclosure as a Regulatory Strategy for Franchise Protection 23rd Annual International Society of Franchising Conference ISoF 2009; International Society of Franchising, United States. Terry A, Wang Z, and Zhu M (2009) Environmental Factors and International Expansion in Emerging Markets: A Case Study of Foreign Franchising Companies in China 11th International Conference of the Society for Global Business & Economic Development SGBED 2009; Society for Global Business & Economic Development, United States. Terry A (2009) The Legal Environment for Franchising in Vietnam 22nd LAWASIA Conference 2009. Terry A (2009) Global Trends in Franchise Regulation and the Australian Experience: Lessons for New Zealand Franchise Law Reform Symposium 2009; University of Auckland, New Zealand. Terry A, and Di Lernia C (2009) E-Collaboration within Franchise Networks: opportunities and challenges 11th West Lake International Conference on Small and Medium Business 2009. Terry A (2009) Are you being served? Australian Franchising Magazine- Mar/Apr . Terry A (2009) Established or emerging? the dilemma for the prospective franchisee Australian Franchising Magazine- May/Jun . Terry A (2009) How is franchising faring? Australian Franchising Magazine- Nov/Dec . Terry A (2009) Good Faith or Good Intentions? Australian Franchising Magazine- Jan/Feb . Terry A (2009) New Zealand rejects franchise regulation Australian Franchising Magazine- Jul/Aug . Terry A (2009) It’s all about the money Australian Franchising Magazine- Sept/Oct . Terry A, and Di Lernia C (2009) Good faith rejection right for franchising Australian Financial Review . Terry A (2008) Regulatory Reforms to Encourage the Development of Franchising in Vietnam Journal of Law and Development, 4, 33. Terry A, and Forrest H (2008) Where's the Beef? Why Burger King is Hungry Jack's in Australia and other complications in building a global franchise brand Northwestern Journal of International Law and Business, 28 (2), 171-213. Terry A (2008) Asia's Next Franchising Frontier: Good Morning Vietnam! 22nd Annual International Society of Franchising Conference ISoF 2008; International Society of Franchising, United States. Terry A, and Wang Z (2008) Franchising Law in China The Chinese Commercial Legal System; Thomson Lawbook Co. (Thomson Reuters), Australia, 335-348. Terry A (2008) Franchise Regulation Internationally: Are there Lessons for New Zealand? Franchise Association of New Zealand National Conference 2008; Franchise Association of New Zealand, New Zealand. Terry A, and Wang Z (2008) Franchise Regulation in Asia: Developments and Trends 2nd China International Franchise Summit 2008, China. Terry A, and Wang Z (2008) The Development of China's Franchise Law and the 2007 Franchise Regulation 2nd China International Franchise Summit 2008, China. Terry A, and Wang Z (2008) Franchise Regulation in Asia: Developments and Trends 21st LAWASIA Conference 2008. Terry A (2008) But what’s the bottom line? Franchising-May/Jun . Terry A (2008) Franchises are all nonsense!! Franchising- Mar/Apr . Terry A (2008) Kevin 07! Franchise Heaven? Franchising- Jan/Feb . Terry A (2008) High Court Action, (Ketchell's case) Franchising . Terry A (2008) High Court Action, (Ketchell’s case) Franchising-July/Aug . Terry A (2008) Strength in diversity Franchising- Nov/Dec Nov/Dec. Terry A (2008) There’s goodwill in them there inquiries Franchising- July/Aug . Terry A (2008) Is the Franchising Code of Conduct Working for Franchisees? Franchising . Terry A (2008) Walk the talk Franchising- Sept/Oct . Terry A (2008) Inquiry into the operation of Franchise Businesses in Western Australia: Report to the Western Australian Minister for Small Business; Small Business Development Corporation, Perth, i-76. Terry A (2008) Inquiry into Franchising. Terry A (2008) Parliamentary Joint Committee on Corporations and Financial Services. Inquiry into the Franchising Code of Conduct, Sydney, 1-30. Terry A, Wang Z, and Jones P (2008) Comparative Review of Administrative and Promotional Mechanisms for Franchise Sectors: China, Vietnam, Australia and the US. Terry A, and Wang Z (2007) China's Long March to a Franchise Law: The 2007 Franchise Regulation LawAsia Journal, 79, 79-103. Terry A (2007) A Census of International Franchise Regulation 21st Annual International Society of Franchising Conference ISoF 2007; International Society of Franchising, United States. Terry A (2007) The Franchising Year in Review PWC Excellence in Franchising Awards 2007, Australia. Terry A (2007) Judges' Comments PWC Excellence in Franchising Awards 2007, Australia. Terry A (2007) Structuring a Franchise Plan: Keys to Building a Franchise Model Franchise India 2007 Conference, India. Terry A (2007) Understanding Regulation and Compliance Franchise India 2007 Conference, India. Terry A (2007) Franchise Regulation in the APEC Region World Franchise Council Symposium 2007; World Franchise Council, Brazil. Terry A (2007) Franchise Regulation Internationally National Franchise and Small Business Convention 2007; Franchise Council of Australia, Australia. Terry A (2007) Franchising in Vietnam 20th LAWASIA Conference 2007, Australia. Terry A (2007) Franchise Regulation and Risk Management National Franchise and Small Business Convention 2007; Franchise Council of Australia, Australia. Terry A (2007) That’s All Folks! The Franchise Review- October . Terry A (2007) Some thoughts on franchise regulation Franchising - May/Jun . Terry A (2007) That's all Folks The Franchise Review 14. Terry A (2007) Regulation: Good or Bad? Franchise (New Zealand-Winter) . Terry A (2007) The Excellence in Franchising Awards and you Franchising - Nov/Oct . Terry A (2007) Regulation: Good or Bad? Franchise (New Zealand) . Terry A (2007) Herding Cats Franchising - July/Aug . Terry A (2007) A Risky Business Franchising . Terry A (2007) A decade of reform Franchising - Sept/Oct . Terry A (2007) 2007. A big year for franchising? Franchising - Jan/Feb . Castle T, Steggall Z, and Terry A (2007) Inquiry into the Market for Retail Tenancy Leases in Australia - Destruction and Appropriation of Goodwill: The Problem of Non-Renewal. Terry A (2007) Bankruptcy Reforms; Australia US Free Trade Agreement; Codes of Practice; Who is the Controller of Premises for OH&S purposes? ; Red tape and regulation reform. Wadsworth F, Haines D, Paynter J, Terry A, and Tuunanen M (2006) Comparison Of Finnish, American, And New Zealand Franchisee Satisfaction International Business and Economics Research Journal, 5 (6), 25-32. Terry A (2006) International Branding Issues in International Franchising 20th Annual International Society of Franchising Conference ISoF 2006; International Society of Franchising, United States. Terry A (2006) Regulating Franchising Internationally China Franchise International Summit 2006, China. Terry A, and Wang Z (2006) From Mao to Maccas: Economic, Legal and Political Influences on the Development of Franchising in China Macromarketing 2006; Marketing Department, University of Otago, New Zealand. Terry A, Wang Z, and Zhu M (2006) The Development of Franchising in China 20th Annual International Society of Franchising Conference ISoF 2006; International Society of Franchising, United States. Terry A (2006) Judges' Comments PWC Excellence in Franchising Awards 2006, Australia. Terry A (2006) Some thoughts on Franchise Regulation PWC Excellence in Franchising Awards 2006, Australia. Terry A (2006) Franchising a Business Concept LexisNexis Hot Topics in Franchising Law 2006; LexisNexis, Australia. Terry A (2006) Franchise Development and Regulation in China 7th LAWASIA Business Law Conference and China Law Society Conference 2006, Australia. Terry A (2006) Developing Entrepreneurship Perbadanan Nasional Berhad 2006, Malaysia. Terry A, Liu ?, Kong ?, Wang ?, Hou ?, Wang ?, and Tang ? (2006) Innovation in the Booming Market for Franchising in China 20th Annual International Society of Franchising Conference ISoF 2006; International Society of Franchising, United States. Hilton A, and Terry A (2006) Vietnam's New Franchise Law: Momentum for Country Experiencing Strong Consumer Demand Growth L J N's Franchising Business & Law Alert . Terry A (2006) Mass-market Appeal: Franchising in China Business Review Weekly . Terry A (2006) Trans-Tasman Franchising: New Zealand: New Opportunities Franchising . Terry A (2006) Vietnam’s New Franchise Law Franchising Business and Law Alert-Vol 12 . Terry A (2006) Review of the Disclosure Provisions of the Franchising Code of Conduct. Terry A (2005) Franchising, Relational Contracts and the Vibe Australian Business Law Review, 33 (4), 289-300. Terry A, and Giugni D (2005) Business and the Law: 4th Edition; Cengage Learning Australia, Australia. Terry A, and Wang Z (2005) Franchising in the New China: The Regulatory Environment for Foreign Franchisors 19th Annual International Society of Franchising Conference ISoF 2005; International Society of Franchising, United States. Terry A, Wadsworth F, Haines D, Paynter J, and Tuunanen M (2005) Comparison of Finnish, American and New Zealand Franchisee Satisfaction International Business & Economics Research Conference 2005. Terry A (2005) Co-branding Malaysia International Franchise Conference 2005, Malaysia. Terry A (2005) How to Co-operate with Foreign Franchisors in China China International Franchise Forum 2005, China. Terry A (2005) The Inside Story of the Lenards Case: Why did the Chicken Cross the Road? Australian National Franchise Convention 2005; Franchise Council of Australia, Australia. Terry A (2005) The Framework for Franchising in China German Franchise Conference 2005, Germany. Terry A (2005) International Opportunities for Australian Franchise Systems The Franchise Review . Terry A (2005) Network Expansion: Options Opportunities and Challenges Australia and New Zealand Franchising Yearbook: 2005 . Terry A (2005) Network Expansion: Options Opportunities and Challenges Australia and New Zealand Franchising Yearbook . Terry A (2005) Comparative International Franchise Regulation. Terry A (2005) Drafts of a Franchise Law for Vietnam. Terry A (2004) Franchise Sector Regulations: The Australian Experience LawAsia Journal, 57. Terry A (2004) Franchise Sector Regulation: The Australian Experience 1st International Conference on Economics and Management of Networks EMNet 2003; Physica-Verlag (a Springer Company), Germany. Terry A (2004) Franchising, Relational Contracts and the Vibe 18th Annual International Society of Franchising Conference ISoF 2004; International Society of Franchising, United States. Terry A (2004) The Franchisor/Franchisee Relationship and the Franchise Agreement: Key Issues for Developing Countries South Africa National Franchise Conference 2004, South Africa. Terry A (2004) New Concepts, Ideas, Directions and Laws in Global Franchising China International Franchise Forum 2004, China. Terry A (2004) Franchise Development in Vietnam and Regulatory Options: Lessons from Australia Vietnam Franchise Forum 2004, Vietnam. Terry A (2004) Determining whether your Business Arrangements are Caught by the Franchise Code of Conduct and the Trade Practices Act Institute for International Research, Trade Practices and Competition Law Conference 2004, Australia. Terry A (2004) Juggernaut in Overdrive: Franchising in China Franchising . Terry A (2004) Life after the Franchising Code of Conduct The Franchise Review . Terry A (2004) The Legal Environment for Business Development Services in Vietnam. Terry A (2004) Drafts of a Franchise Law for Vietnam. Terry A (2004) Comparative International Franchise Regulation. Terry A, and Giugni D (2003) Business and the Law: 3rd Edition; Cengage Learning Australia, Australia. The efficiency and design of fees for Australian investment funds; CIFR Research Project Grant. Country and Regional Initiatives for SME Franchise Policy Formulation and Franchise Development in ASEAN; AusAID Public Sector Linkage Program 2013-2015. Enhancing sustainable economic growth by improving transparency and accountability in the Mongolia; AusAID Public Sector Linkage Program 2012-2014. Professor Andrew Terry from the Business School wrote an article published in Australia & New Zealand Franchising about franchising and business ethics. Professor Andrew Terry and Dr Cary Di Lernia author an article published in The Australian on the future of the franchise sector. The Wall Street Journal (US) published an opinion piece by Professor Andrew Terry and Dr Cary Di Lernia about the future of franchising. The current trend away from common brands led by younger consumers has prompted Dr Cary Di Lernia and Professor Andrew Terry to propose a revolutionary new approach to the traditional franchise model. Watch now and for more information, view their article recently published in the Wall Street Journal.